DO YOU NEED THE PROTECTION OF A D&O INSURANCE POLICY? Your efforts toward ensuring your financial security might be focused on building up your assets through wise investing or growing your business. But protecting the assets you already have is just as important. And if you serve as a director or officer of a company, or even sit on the board of a nonprofit, your assets may be vulnerable. One way to gain some protection is to obtain coverage under a directors and officers (D&O) insurance policy. But even if directors or officers do nothing wrong, they still can be held financially responsible for others’ missteps if they’re sued and the organization lacks sufficient assets to protect them. Indeed, directors and officers are vulnerable to many types of lawsuits. Employment-related litigation — covering such claims as harassment, discrimination and wrongful termination — is particularly common, while legal action also may be brought by unhappy shareholders, lenders, customers, suppliers, competitors or government regulators. You may feel less vulnerable if you sit on the board of directors of a nonprofit. Although nonprofits do lack shareholders, they still have stakeholders — financial contributors or other individuals with a personal interest in the organization’s mission. Thus, nonprofit directors, officers and board members can find themselves at risk if these stakeholders decide to sue its leaders for mismanagement. When contemplating a D&O policy, determine exactly what it covers. For example, some insurers won’t cover fraud-related claims, while others specifically exclude employment-related litigation. Next, weigh what’s covered against the specific risks you’re most likely to face. For example, if you’re thinking about joining the board of an organization with a history of rocky employee relations, determine whether you’ll be protected from employee-related lawsuits. If you uncover potential gaps in the D&O policy, or if it includes provisions that could lead to your coverage being rescinded in certain situations, you may need to obtain additional protection through supplemental liability insurance. Make no mistake, a D&O policy can be costly because of the high financial stakes involved. So an organization in cost-cutting mode may not wish to offer you this coverage. Nonetheless, if you’re a director, officer or board member, a policy may serve as a critical safeguard for your family’s assets. Contact our firm for an assessment of your situation. Many people mistakenly view errors and omissions (E&O) insurance as an alternative to a directors and officers (D&O) policy. Don’t be among them; the two types of policies cover different sets of risks. E&O insurance covers the business itself against problems stemming from potential failures in the products and services a business offers its customers; D&O insurance protects individual officers and directors from financial risk stemming from management decisions — either yours or someone else’s. We live in an increasingly specialized society. As such, there’s a growing subset of the workforce with distinctive skill sets that can perform high-quality services. Through independent contractor relationships, companies are able to access these services without the long-term entanglements of traditional employment. And yet, risk remains. Classifying a worker as an independent contractor frees a business from payroll tax liability and allows it to forgo providing overtime pay, unemployment compensation, and other employee benefits. Also, independent status takes an individual off the company payroll, where an employee’s share of payroll taxes, plus income taxes, is automatically withheld. For these reasons, the federal government views misclassifying a bona fide employee as an independent contractor as forcing a square peg into a round hole. Sometimes a company engages an independent contractor with short-term intentions only to gradually integrate the person into its staff, creating a risk of employee misclassification. Our firm can help you review the pertinent factors and use protective measures before and duringan engagement. Health care costs continue to be in the news and on everyone’s mind. As a result, tax-friendly ways to pay for these expenses are very much in play for many people. The three primary players, so to speak, are Health Savings Accounts (HSAs), Flexible Spending Arrangements (FSAs) and Health Reimbursement Arrangements (HRAs). HSAs. If you’re covered by a qualified high-deductible health plan (HDHP), you can contribute pretax income to an employer-sponsored HSA — or make deductible contributions to an HSA you set up yourself — up to $3,400 for self-only coverage and $6,750 for family coverage for 2017. Plus, if you’re age 55 or older, you may contribute an additional $1,000. FSAs. Regardless of whether you have an HDHP, you can redirect pretax income to an employer-sponsored FSA up to an employer-determined limit — not to exceed $2,600 in 2017. The plan pays or reimburses you for qualified medical expenses. What you don’t use by the plan year’s end, you generally lose — though your plan might allow you to roll over up to $500 to the next year. Or it might give you a 2½-month grace period to incur expenses to use up the previous year’s contribution. If you have an HSA, your FSA is limited to funding certain “permitted” expenses. HRAs. An HRA is an employer-sponsored arrangement that reimburses you for medical expenses. Unlike an HSA, no HDHP is required. Unlike an FSA, any unused portion typically can be carried forward to the next year. And there’s no government-set limit on HRA contributions. But only your employer can contribute to an HRA; employees aren’t allowed to contribute. Please bear in mind that these plans could be affected by health care or tax legislation. 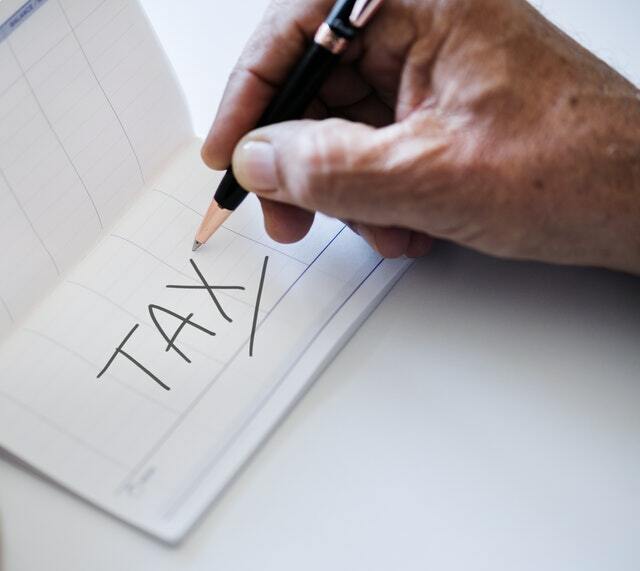 Contact our firm for the latest information, as well as to discuss these and other ways to save taxes in relation to your health care expenses. Insurance.Start with your homeowners’ coverage. Make sure your policy covers flood, wind and other damage possible in your region and that its dollar amount is adequate to cover replacement costs. Also review your life and disability insurance. Asset documentation.Create a list of your bank accounts, titles, deeds, mortgages, home equity loans, investments and tax records. Inventory physical assets not only in writing (including brand names and model and serial numbers), but also by photographing or videoing them. Document storage.Keep copies of financial and personal documents somewhere other than your home, such as a safe deposit box or the distant home of a trusted friend or relative. Also consider “cloud computing” — storing digital files with a secure Web-based provider. Cash.You may not receive insurance money right away. A good rule of thumb is to set aside three to six months’ worth of living expenses in a savings or money market account. Also maintain a cash reserve in your home in a durable, fireproof safe. An emergency plan.Establish a family emergency plan that includes evacuation routes, methods of getting in touch and a safe place to meet. Because a disaster might require you to stay in your home, stock a supply kit with water, nonperishable food, batteries and a first aid kit. Important Information: The information contained in this newsletter was not intended or written to be used and cannot be used for the purpose of (1) avoiding tax-related penalties prescribed by the Internal Revenue Code or (2) promoting or marketing any tax-related matter addressed herein. The Tax and Business Alert is designed to provide accurate information regarding the subject matter covered. However, before completing any significant transactions based on the information contained herein, please contact us for advice on how the information applies in your specific situation. Tax and Business Alert is a trademark used herein under license. © Copyright 2017.